It seems that things have come full circle; back in October I went to Villefranche with some of my friends, but we didn’t do much other than sit on the beach and get gelato. Well one of the teachers at my school told me about a few cool things there, so I decided to check it out! I actually went the same week that I went to Parc Phoenix; I had a particularly light class load that week and the weather was great, so I took advantage of it! Plus my handy little list has been keeping me motivated. The first place I went was the Citadel, which is a 16th century fortress that’s open to visitors. Honestly I was kind of confused by it–I wasn’t sure if I was missing something, since it was mostly open and outside–but there were a few small museums and such, so I guess that was it. 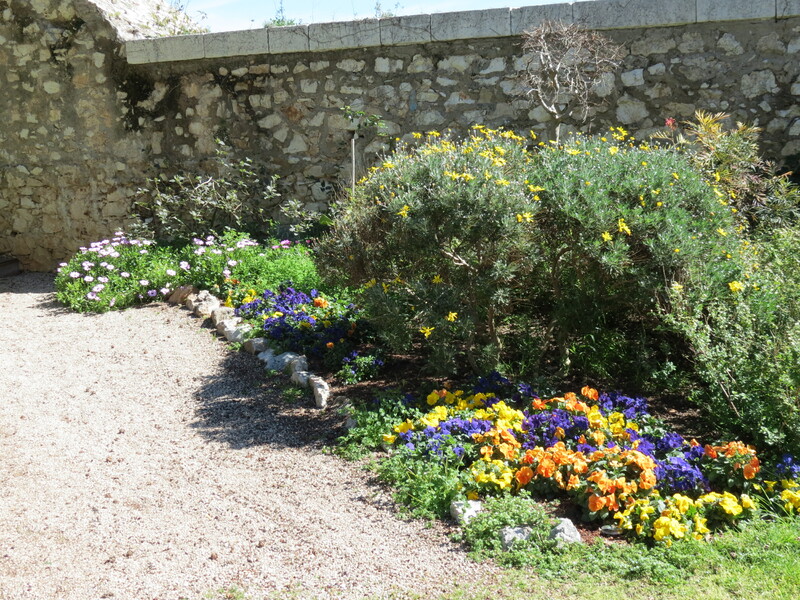 I was kinda underwhelmed, but it was cool to see the old stone walls, the green grass, and the abundant flowers. 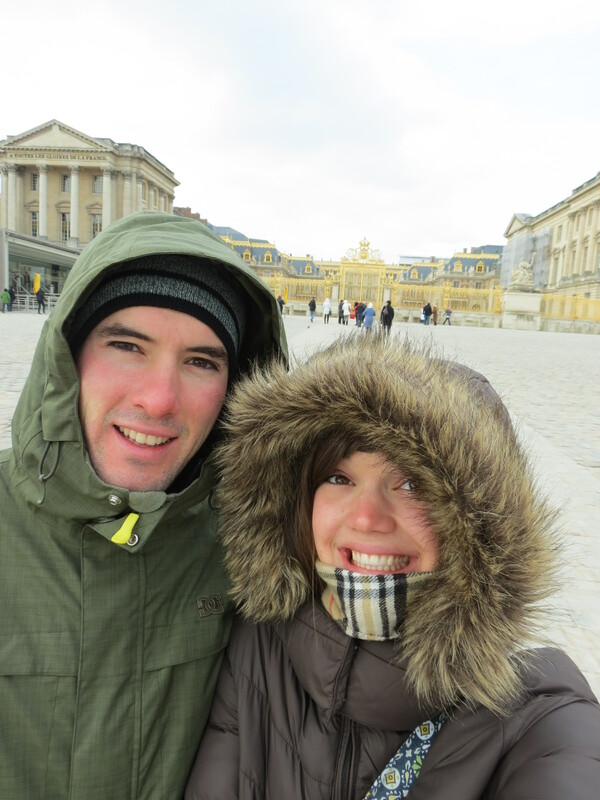 After our Paris trip, Nick and I flew to Venice, a place I (and he) had never been before! My parents and I wanted to go during their trip here but it just didn’t work out time-wise; it was way too far from Rome for us to do on our limited schedule. So I was happy to have an opportunity to go there! 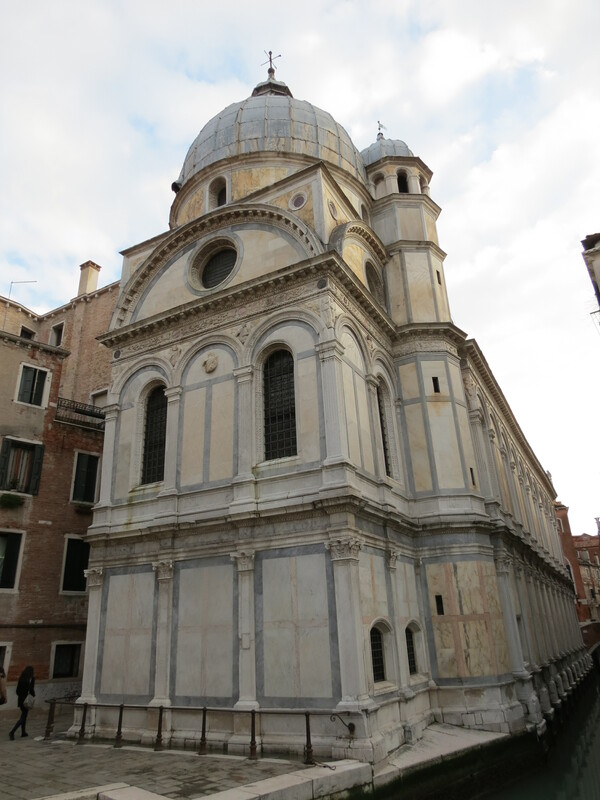 Most of the time in Venice we were just walking around. The sidewalks and canals with no cars were a nice break from the busy-ness of Paris, although the winding “streets” did cause us to walk in circles more than once! We saw a lot of beautiful sights and neat old architecture. Again, I don’t have a lot to say about these places, so enjoy the photos! 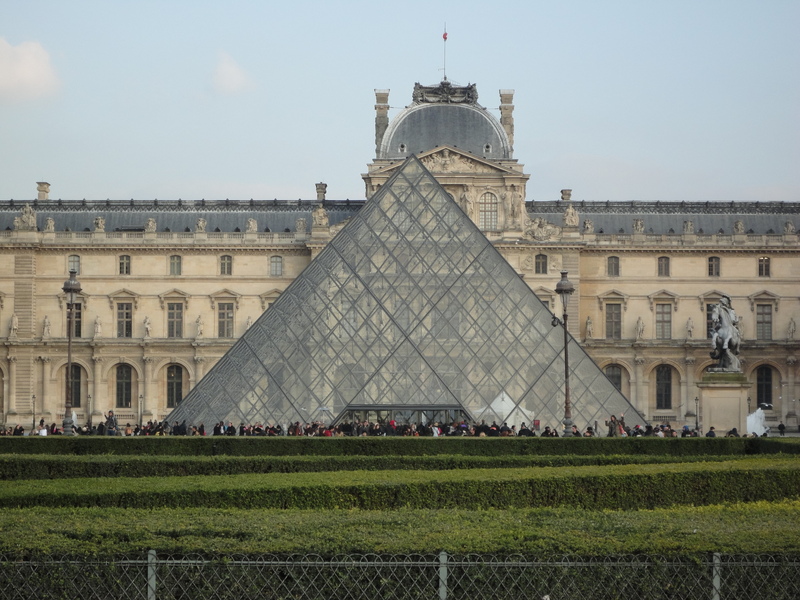 Although I’ve been outside the Louvre many times, I’ve never actually gone inside! It’s SO huge it’s daunting to think about going inside to see everything. However, Nick and I decided to go on our second day in Paris and got there in the morning right as it opened, so we didn’t have to wait in line, and could devote as much time as we wanted (until we got way hungry for lunch!). You all remember what the Louvre looks like, right? I mean, we’ve all seen the DaVinci Code. This was the day before, when there were a ton of people waiting in line. No thank you. When Nick was here, we took a trip to Paris: my fourth! If you’ve been keeping up with me since the beginning, you remember that I flew there when I first arrived in Europe (two posts), I went again with my parents, then again right after they left to see my friend Chelsea. However, this trip was basically a new experience for me because while we went a few places I had been before, we did a TON of stuff I hadn’t done yet! None of my trips there have been very long so it was nice to have four days to really see the city and go some of the places I hadn’t been yet. First up: going up in the Arc de Triomphe! There is a TON of stuff up in the Arc de Triomphe that I had no idea existed. Full disclosure: the first time or two I was in Paris I didn’t even know you could go up in it. 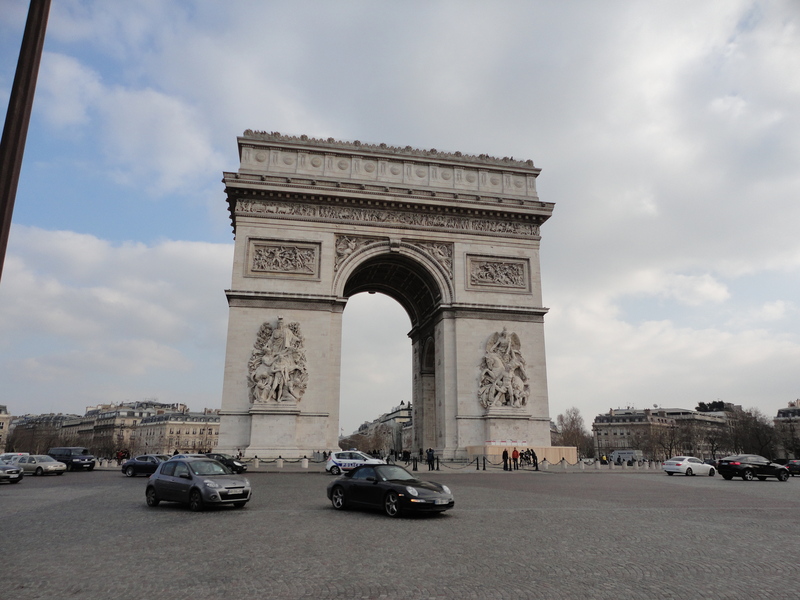 I guess somehow I missed seeing the people on top when I took my pictures… Anyway, first, a reminder of what the Arc de Triomphe looks like! It’s the big arch at the beginning of the Champs-Elysees. Chelsea and Kelsey in Paris!! Two days after my parents left, I woke up at the crack of dawn and took a taxi to the airport again. This time, however, was to catch my own flight: a 6:30 AM one to Paris to see my best friend from ISU, Chelsea! She and two friends had flown into Paris right after Christmas and immediately headed down to Spain to see a few different places. Before flying out of Paris, Chelsea had one day and night to see the city, so I flew up to spend time with her and show her around! 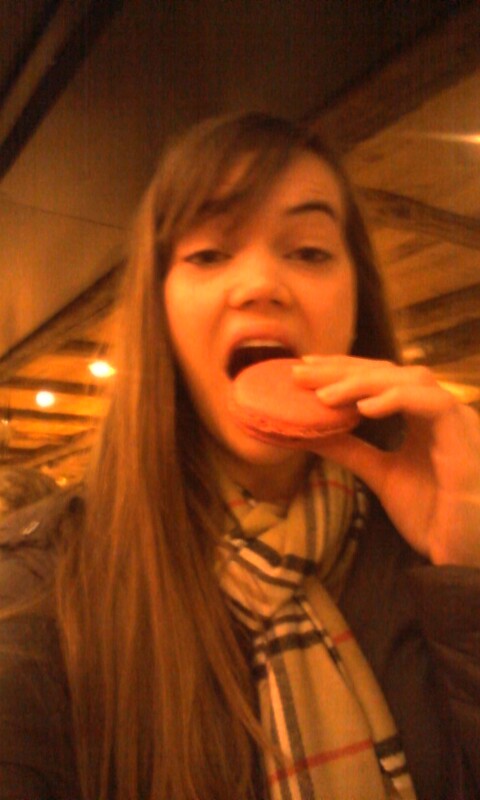 I found HUGE macarons at a bakery in Orly Airport; of course I had to buy one. Who cares that it was 8 AM. IT WAS DELICIOUS. LAST POST! FINALLY! I mean, I enjoy writing these but this trip has dragged on foreeeeeever. I have other stuff I want to write about! And I feel like the posts have gotten longer as we go on. Sorry about that, by the way. Oh and I have the next two posts written and planned to post but after that, it’s free game as far as what I write about. I reset all the votes on the poll on the right, and added a couple new options, so go ahead and vote (pleeeeeeease) and whichever gets the most votes will be up after the two I already have planned! Okay, all caught up now? Good. So, Florence! We took the train from Rome to Florence on the morning of December 31st, and it was by far the NICEST train I have ever been on. Nice big new seats, glass dividers above the seat backs, free WiFi (Yeah. ON THE TRAIN. ), outlets at every seat, and…drumroll please…train workers came around with a beverage cart like on an airplane and gave us free drinks and snacks! This was my first time taking the train in Italy, and I thought maybe they were all like that, but nope, just that one. Actually, now that I think about it, I might have found tickets for that train for first class cheap, that’s why it was so nice… hmm. Going to check my email confirmations now! Update: not first class, but 2nd class premium! Man I bet in first class they get like, recliners and 3-course meals. I’m surprised I didn’t consider that we might not have been in coach class before, because that was SUCH a nice train. Makes sense. Duh Kelsey. So we left Hamburg bright and early. We had a layover in Vienna (another country! Yay!) and then landed in Rome shortly after noon. We took a bus into the city from the airport and then went straight to the Vatican Museum and Sistine Chapel. 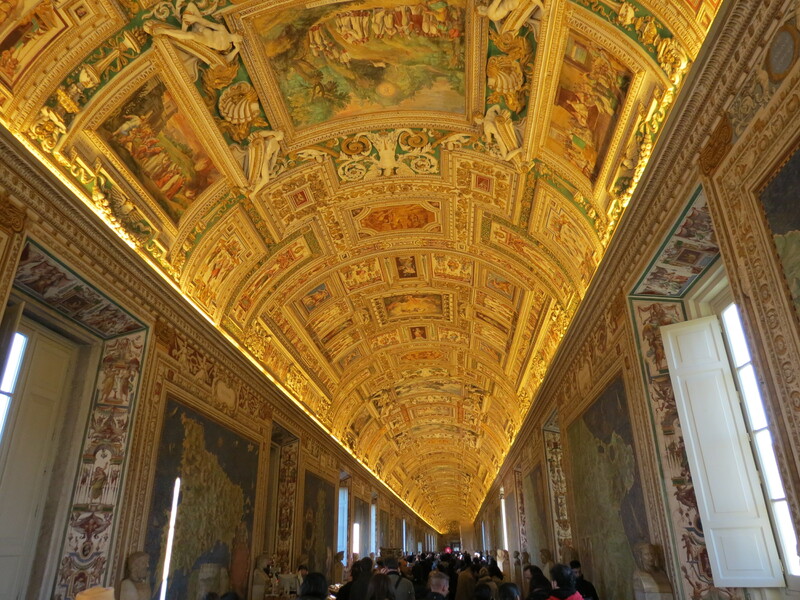 In order to get to the Sistine Chapel, you have to wind through a whole bunch of the museum, which is HUGE! I think they know most people only want to see the chapel so they do that to get traffic throughout the rest of the museum. It was cool though. It was a lot of long, wide hallways with painted ceilings. So we flew to Hamburg, which is a town in northern Germany. We met our distant relative Peter there, who is related on my mom’s side. I’ve been emailing with him and another VERY distant relative Karen on and off since October, when I first considered visiting our ancestral home. 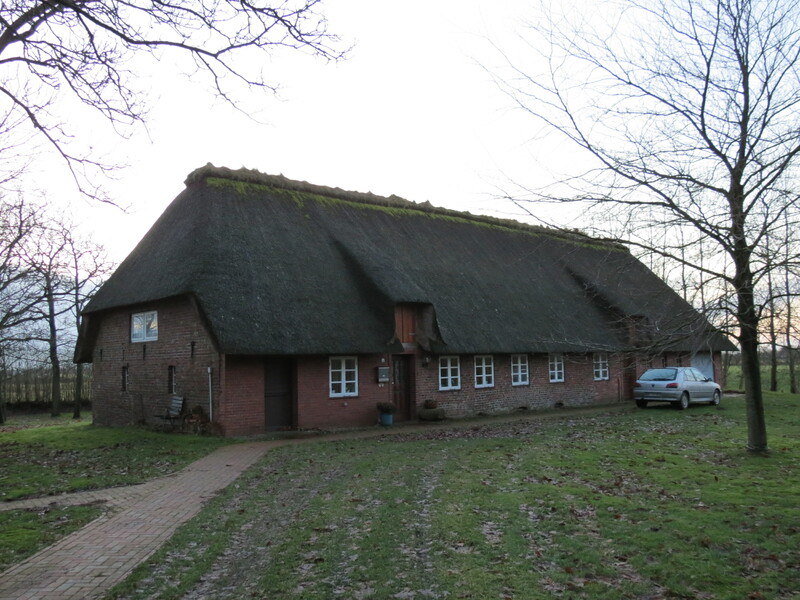 The home is a house near Husum in the very north part of Germany where my mom’s ancestors lived! My last direct relative to live there was my great-great-great grandfather Peter Jürgen Petersen, and Peter’s (who owns the house now) and my closest shared relative is that man’s father Peter Petersen (yeah, I know, the names. Ridiculous). Peter Petersen is my great-great-great-great grandfather and Peter’s great-great-great grandfather. If you kept all that straight… kudos. Way too many “Peters” and “greats” in that paragraph. So Peter picked us up and then we rode with him for about two hours, driving straight north to our ancestral home. It was dark, but cool to see! Peter showed us around the inside of the house and we dropped off our stuff, then headed to the restaurant where he had made reservations for dinner. I took this the next day. Because it’s not dark. Obviously. Okay so on Christmas Eve, we caught the Eurostar in Paris to take the Chunnel to London. We had to go through security like in an airport (although not nearly as strict) and also border patrol before getting on the train. Just a warning: UK border patrol is the worst! When I went to London to visit my friend Logan, the guy gave me major attitude because I didn’t have Logan’s address. I offered to call him and get it and he was really rude to me. This time, border patrol wasn’t rude, but they do require you to fill out a form about how long you’re staying, where you’re staying (EXACT ADDRESS! ), passport number, etc. No other country has made me do that, so be prepared! The Chunnel was cool for what I saw of it… as I’ve mentioned, I have an extremely hard time staying awake on any form of transportation! I stayed up for awhile and then when it got dark (from going underground) I fell asleep basically until we got to London. When we got there, we took the tube (underground/Metro) to the stop closest to our hostel, then had a short walk there and found it no problem. We dropped our stuff in our room (only ones in it for that night! Yay!) then went to some nearby shops to buy some snacks for Christmas Day, since nearly everything was going to be closed; the bar under the hostel was serving breakfast and Christmas dinner but we wanted to make sure we had something to snack on for supper. Then we went to a nearby pizza place for dinner, which was delicious.